Add an extra traditional or warm rustic feel to your winery or restaurant with this traditional tall Tuscan bottle cooler. 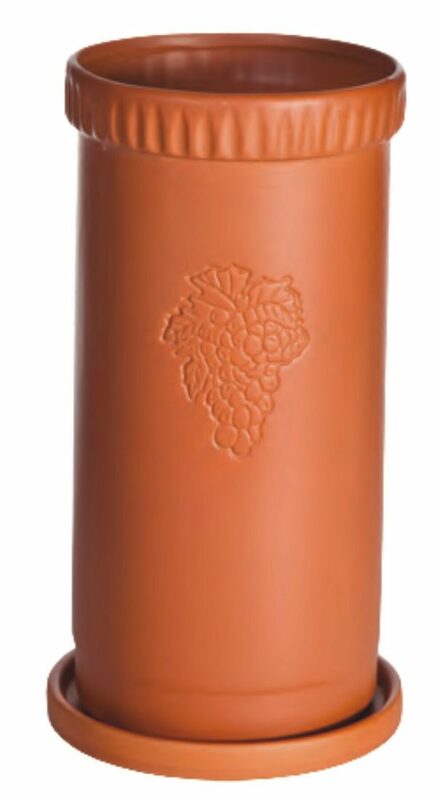 There's something about the soft terracotta orange design of this bottle cooler that simply draws the eye in almost any environment, making it the perfect way to give your business an old-world feel that's perfect with evoking ideas of finely aged wines. 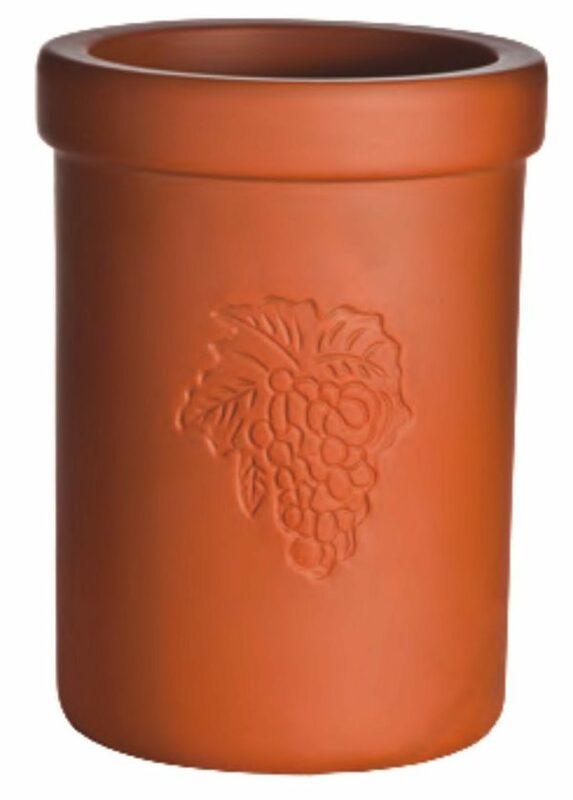 Made with genuine terracotta and including a matching saucer for that extra finishing touch, this incredible cooler can be the perfect way to keep beverages cool for your clients as they enjoy a wine tasting or meal. At the same time, the soft grape indentation at the front of the cooler helps to draw attention to the purpose of the item, and evokes ideas of Italy and France. 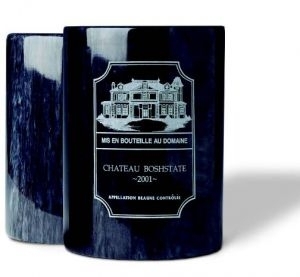 Perfect for European cafes and more, this stunning cooler could be the perfect gift for your valued customers, or the ideal way to add something special to your own business locations - providing color and warmth to your existing theme. Simply fill it with ice and slide in a bottle of delicious wine so that your customers and clients can enjoy freshly chilled beverages at any moment. After all, the last thing you want to do is serve wine at the wrong temperature. This terracotta Tuscan bottle cooler measures in at around 9 1/4 inches in height and 4 3/4 inches in diameter - the perfect size for just about any bottle. 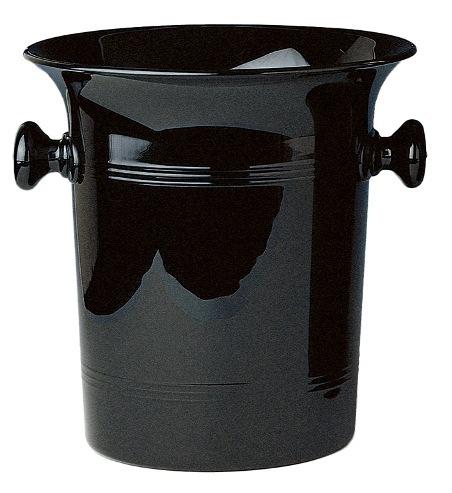 It's also robust and strong enough to stand the test of time - holding up under frequent use.